Now known more commonly as an Argentine wine, Malbec is originally one of the five "sisters" of the Bordeaux region of France. Somewhat a stepsister, it is typically blended with Cabernet Sauvignon to both soften the tanins and enhance the bouquet of the finished wine. Bottled alone, Malbec boasts an exuberant bouquet. This full-bodied wine, complemented by silky tannins, was aged in 100% French oak. 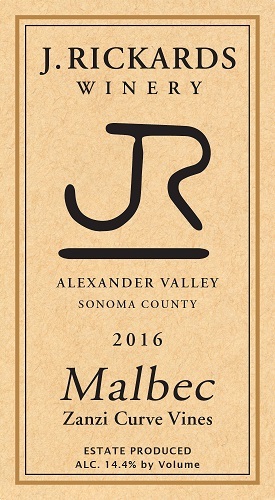 Our Malbec offers a distinctively New World take on the varietal that gives a respectful nod to its European roots. Alluring aromas of ripe black cherry, raspberry, rose petal, orange peel, and mocha lure the taster into a silky mouthfeel of consistent flavors, through to the long delicious finish. This elegant wine is the perfect accompaniment to pork tenderloin, beef bourguignon, or mildly spiced pasta dishes. And, given its rustic tone, consider giving Malbec a go with slow-cooked, braised meats.